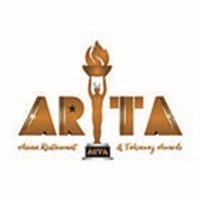 Asian Restaurant & Takeaway Awards, ARTA is a nationwide celebration of recognising British Asian Cuisine and the individuals involved in the making. ARTA is giving everyday diners a chance to elevate their most beloved restaurants through nominating their favourites Britain's Best Curry Awards. ARTA divides the entire UK in 15 regions and is receiving nominations from the public that assesses based on criteria such as quality of service, quality of food, value for money. Nominations will lead to regional cook offs where the restaurateurs will compete to get shortlisted for the gala. At the gala night, one of the lucky nominating customers will have the chance to win the grand prize of a brand-new car. In the Gala, the regional winners will face acute scrutiny from the judging panel and ARTA will get its first ever Champion of the Champions, Best Newcomer of the Year and Best Chef of The Year.